Happy new year for our beloved followers and readers ! After several meetings to discuss about the future of PrinSoft with the team and the concerned people, we told you on social media to save the date and now here's the decision that we've taken and why. We're officially announcing the migration of PrinSoft from Weebly to WordPress CMS. Already 3 years using Weebly as our hosting & CMS provider, we had many up's and down's, joys and sadness's, excitements and disappointments but today we've had to take this move to make PrinSoft more successful and to get closer to you. We took this decision because we had many troubles using Weebly also WordPress didn't make any limitation on anything offered on their platform, while Weebly is starting to act like a money-hungry platform and we cannot keep up with their requirements so we had to choose between moving or permanently closing PrinSoft and the right choice we found is to migrate whatever the consequences and you can see the screenshot below to understand what kind of limitations we're talking about here. For the meantime PrinSoft will be inoperative until we migrate to our new platform, so come back again later and check for updates to this post. Thank you for your support to PrinSoft throughout the years, We'll keep working hard to serve you in the best possible way ! Here's our new URL www.prinsoft.tn please add it to your bookmarks so you never forget it. Samsung announced its latest Android device, the brand-new Samsung GALAXY S5, this year at the Mobile World Congress in Barcelona, Spain. The GALAXY S5 is already available for pre-order in Tunisia via Tunisiana's website and is selling it for 1499 TND in its 16GB version. If you're planning to get yours here’s what Samsung announced about the device: The Samsung GALAXY S5 is a LTE Category 4 Standard device, and includes a Finger Scanner for a secure, biometric screen locking feature as well as enhanced S Health 3.0 to help you stay fit. The personal fitness tracker includes a pedometer, diet and exercise records and a new built-in heart rate monitor. 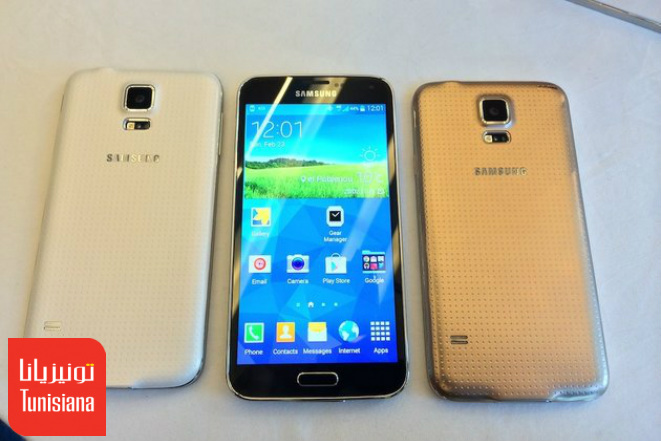 The Samsung GALAXY S5 also has a 16MP camera with the world’s fastest autofocus speed of 0.3 seconds. Samsung will release its device in April 11, 2014 and you can get it from Tunisiana local stores after you pre-order it from their website here. Tunisian Internet Agency ("TIA" or "ATI" in french) is the national Internet Service Provider for Tunisia and the Co-manager of ".Tn" domain, it operates under the Tunisian Ministry of Industry and Technology and it's well known by Ammar 404 (404 Not Found) in Ben Ali's regime. In 2010-2011 the Tunisian People revolted against the regime of Ben Ali they put an end to dictatorship and regained freedom. While Tunisia is having economical and political problems, terrorism in North Africa became a serious risk and threatens the interests of the United States in the African continent so this could push NSA to spy on Tunisia and Libya. PRISM is known to be a secret governement surveillance program launched by NSA in a collaboration with FBI and some tech companies if not all of them to spy on people's and governements all around the world. Tunisian Internet Agency IP found on a list of NSA-Affiliated IPs on Cryptome website. Most of the registrants on the list are not even aware that they are doing business with NSA, so the question here does ATI know about this? and what are the procedures to be taken to protect users privacy? Several questions remain unanswered while everyday we discover new facts in this subject. News brought to you by the PrinSoft Media Team.